A hapless mugger was lucky to escape with his life after being hit by a bus seconds after stealing a woman’s phone. The thief was trying to make his getaway when he ran out of the bus station and straight in front of the oncoming vehicle. 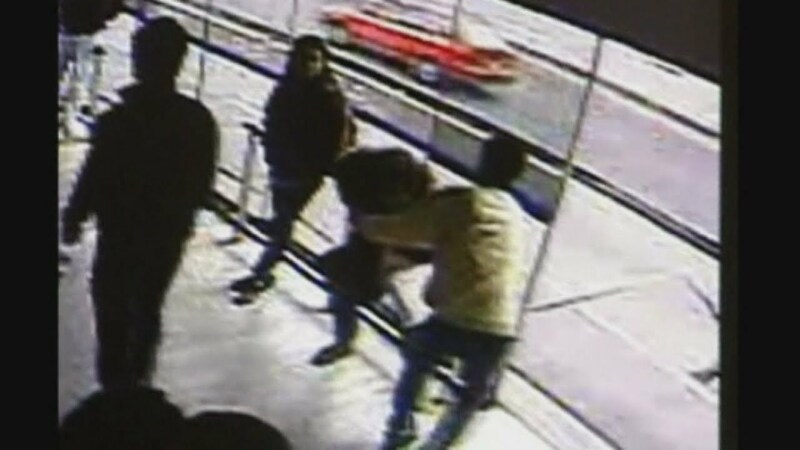 CCTV footage showed the mugger being sent flying by the collision before falling between the bus and the glass of the building, in Bogota, Colombia. The man was treated for his injuries at the scene after the victim, and other commuters, came to his aid. She recovered the stolen phone from the mugger who was taken to hospital. Police say the man had a history of theft, and that he was prosecuted when he left hospital. The CCTV footage showed the man approaching the woman from behind before grabbing her phone. He then wrestles with her, before eventually tugging the phone from her grasp and rushing through the exit doors. A bus immediately appears from his right and knocks him to the ground. Other commuters had simply stood and watched while the mugging took place last month. The mugger’s alleged accomplices are also reported to have been captured soon after the attack.